With the huge potential of AI being proven during Google DeepMind Challenge Match where a computer program beat the best Go player in Korea, AI is suddenly one of the hottest topics and believed to be the critical element in the next industrial revolution. Also, the advent of AI raises hopes in every industry that desperately desires for immediate transformation: one of the many being the digital ad industry. Most people in the digital ad scene are excited about AI’s emergence, thinking it might be the single most important innovation changing the future of the ad industry. A simple and practical use of AI on digital ads could be detecting fraudulent ad clicks and removing ads conveying sexual or violent message based on the click patterns and ad contents. In more advanced cases, AI can even turn real-time feedback into actionable campaign adjustments to help advertisers avoid unnecessary ad display. At first glance, the application on digital ad are everywhere. For example, there are creative development, data management, dynamic personalization, performance measurement, ad optimization and more. But, there, in fact, exists limitations in the use of AI. As powerful and versatile as AI seems to be, the scenarios of full automation powered by it in Hollywood movies could only appear in the future; or at least, not in the near future. 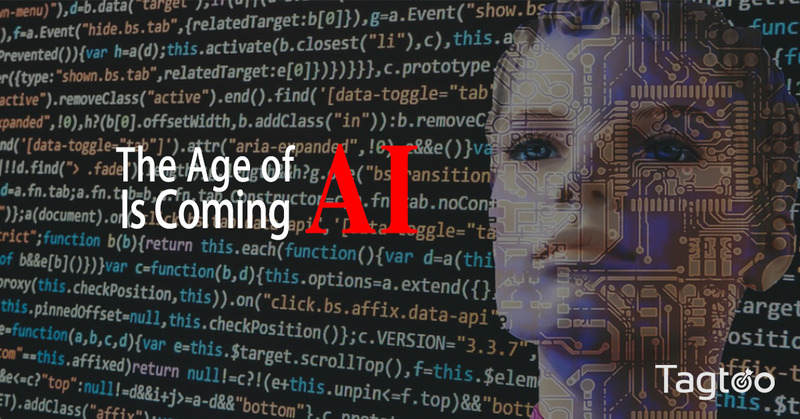 While it is undeniable that the massive adoption of AI may bring the entire industry to a higher level, the opinion that it may take all jobs away is widespread as it becomes increasingly popular. Nevertheless, this assumption may be partially correct. It is commonly believed that AI are capable of automating previously manual and time-consuming tasks, such as media buying and audience targeting. However, what it cannot replace is the emotional intelligence and strategic reasoning of human beings, which is the real difficulty. Campaign planning, creative designing, and copy producing are all the jobs that require advanced and complex thinking and involve an emotional element that is critical in stimulating desired actions. Even in applying today’s best technology, AI is still unable to produce a perfect and acceptable copy, not to mention a well-organized ad campaign. Therefore, it’s a false myth and unnecessary overreaction to boycott AI. Nowadays, there is more smoke than fire in the application of AI in the digital ad industry. It is often an empty catchphrase media used to acquire people’s attention or a public relations stunt to emphasize companies’ abilities in propaganda campaigns. Those cases oftentimes happen when third-party AI vendors claim they can totally solve clients’ problems themselves. The truth is, however, for AI products to work, they need to be tailored to the client’s specific use. Simply put, the application of AI is the result of a program that receives the massive and intensive training through the use of machine learning. There is no one-fits-all AI. On the other hand, the term AI and machine learning are often misunderstood and are not interchangeable. To be more clear, AI is the broad concept that feeds machines with correct data and develops abilities to finish tasks in a more efficient way while machine learning is the training technique for AI that uses algorithms to process a great amount of data to make predictions. Despite the fact that AI is overly advertised for its outstanding competence, the application based on its current development is still extremely helpful, however limited, in terms of boosting productivity. For instance, ad performance calculation and multi-platform data integration and the likes of which take a tremendous amount of time and effort, would be greatly improved and optimized. Those scenes that marketers spend entire days on spreadsheets and manually type calculation formulas may become a thing of past. Now that the work efficiency greatly increases, marketers can better allocate their time for something more important and complicated, such as online to office campaign integration. These usually require meticulous analysis and ongoing brainstorming. With that said, the premise is built on the correctness of the data imported. Any biased data, no matter how serious the extent is, would have huge influences on the results AI deduces. Another unavoidable challenge, when embracing the power of AI, is the need for human supervision. One notable example is Tay, an AI chatbot released by Microsoft via Twitter. Originally, Tay was designed to hold normal conversations with online users and further train its communication intelligence through the interaction with human users. However, some users tried to guide Tay by intentionally starting to tweet politically incorrect phrases or racist-oriented message. Before long, Tay began to post inflammatory and offensive tweets. Consequently, Microsoft learned this cruel lesson the hard way and suspended Tay only 16 hours after its launch, realizing they had not provided Tay with a detailed understanding of inappropriate behavior and language. Whenever coming out with a new AI product in the market, it is wise to ensure no invisible loopholes exist. In short-term, AI won’t be taking jobs away in at least 5 to 10 years. In addition, we can be certain that many intelligent tools would be built on AI and would combine with creative teams to produce more desirable results. However, at some point in the future, complete automation powered by AI may be possible and the execution can be 100 percent robot. Even so, there still exists the need for people to come up with strategies and supervise the AI’s work. Humans still play a paramount role in decision-making. After all, an AI can’t think humanly and no AI, even with the best algorithm in machine learning, will ever match the intuition of a human’s thought. There is still a long way to go when it comes to AI’s complete displacement of human jobs. Based on the thesis surveyed and experts interviewed, the impact of AI may remain limited at this moment. But, under no circumstance does it mean digital ad agencies can neglect the trend. What agencies should do instead is to boldly embrace AI and contemplate any other fields AI can be applied to. AI’s full potential will never be fully realized until agencies take more risks to experiment with technologies more aggressively. For now, it is unnecessary to think that your job may be replaced with the emergence of AI. Improving yourself by continuously learning new skills that AI is incapable of sounds more solid and practical.